Culture and history are certainly plentiful in Naples, and this is especially so at the city's innumerable museums and galleries. Fine art comes in the form of paintings by world-famous and local Neapolitan artists alike, both modern and more classical. 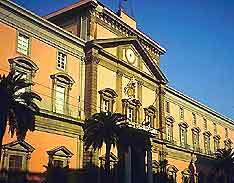 Built in 1738 and standing within the vast Capodimonte Park, the grand neoclassical royal palace now houses the city's acclaimed picture gallery, the Museo Nazionale di Capodimonte, which is especially noteworthy. Also well worth visiting in Naples is the Museo Archeologico Nazionale on the Piazza Museo. This wonderful National Archaeological Museum is full of some of the most comprehensive collections in Italy, including numerous displays of Greco-Roman artefacts and other archaeological finds, excavated from Naples and beyond. Highlights at the Museo Archeologico Nazionale include spectacular treasures unearthed at Pompeii and Herculaneum. Also on show is a large and interesting collection of ancient Egyptian and Etruscan relics, as well as a multitude of other important exhibits relating to the history of Naples. Many of the items on display at this museum are part of the Farnese family's collection, which was built up over more than 300 years. On the first floor, room after room is filled with ancient sculptures, including some of the finest existing Roman-era copies of Greek statues, which really are masterpieces in their own right. Upstairs, most of the rooms are dedicated to finds from Pompeii and Herculaneum, close to Naples, and the exhibits provide a real insight into the lives of these people. Of particular interest are some splendid mosaics, many of which are considered works of art, showing detailed comic scenes and pictures of battles. There are also countless Roman mural paintings (the world's largest collection), portraits, fine arts, frescoes, Greek vases, decorated bronzes and an interesting scale model of all excavations up to the 1840s at Pompeii. There is an enormous amount to be seen at this museum, but some of the rooms are often closed for necessary restoration and the labelling of exhibits is not always complete. However, this is an extraordinary cultural attraction and a visit to the National Archaeological Museum is an absolute must. 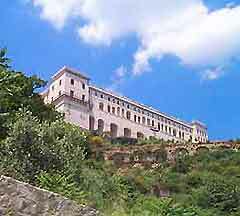 Housed in the grand Certosa di San Martino monastery, the Museo Nazionale di San Martino is rich in Naples history, art and traditions. With some very special exhibits of inlaid marble and many splendid paintings, not to mention unforgettable views, this museum also displays many other interesting collections, such as costumes, ship models and other Italian curiosities. Also known as the Museo Nazionale della Ceramica or the Villa Floridiana, this museum has one of the greatest collections of porcelain figurines. Situated on a grand 18th-century estate with one of the most beautifully landscaped gardens in Naples, the Museo Duca di Martina also has a many other mixed collections. 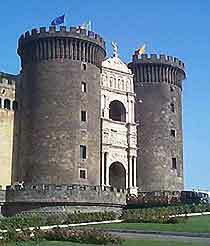 Built in 1279 to protect the port of Naples, this impressive castle is home to the interesting Museo Civico. One part of the museum, housed in the Gothic Capella Palatina, contains many lovely 14th- and 15th-century frescoes. The other section in situated in the south wing and has paintings and an extensive collection of silver and bronzes, dating from the 15th century to present day. The collection of old master paintings and decorative arts displayed at the Museo Nazionale di Capodimonte is one of the best known in the south of Italy and is particularly rich in the works of the late Renaissance. Some of the pieces are simply unmissable, such as 'Madonna' by Botticelli, 'Annunciation' by Filippino Lippi and many other works by leading artists. One room is completely filled by five large masterpieces painted by Caravaggio and other rooms are devoted to Titian. An entire wing in this large museum is dedicated to more than 3,000 pieces of 18th-century porcelain figurines, in another are numerous 19th-century watercolour screens of Naples and the Campanian countryside, revealing the true beauty of this city, before the arrival of cars and traffic. There are several galleries located on the top floor, featuring international contemporary art, including 'Mount Vesuvius' by Andy Warhol, painted when the famous artist visited Naples in 1985. 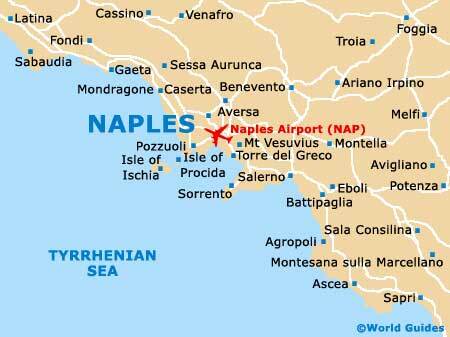 The palace sits on the top of a hill and affords some truly spectacular views of Naples and the bay. The Museo Principe di Aragona Pignatelli Cortes is full of many pieces of decorative porcelain, similar to those on exhibit at the Museo Nazionale di Capodimonte. Also on display are pieces of furniture, art and numerous 18th- and 19th-century noble carriages.